Costa Rica is famous for its nature, national parks and volcanoes. 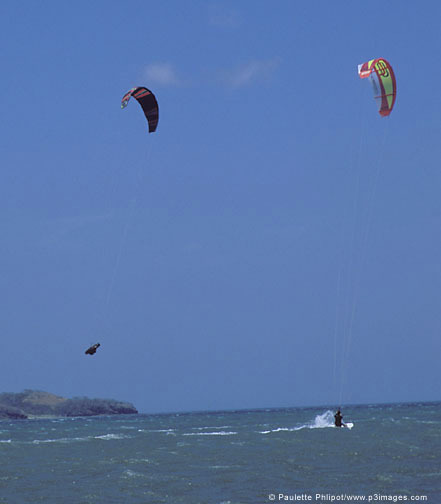 But this beautiful country is also perfect for water sports (wave surfing has many international known spots) and has a great spot for kitesurfing: this is Playa Copal, a beach located in the bay called Bahia Salinas. It is on the north pacific coast in the Guanacaste province, the sunniest and driest side of Costa Rica. Around this bay there are very beautiful and unknown beaches. The bay is also home to an island with a white beach and turquoise water, famous because it is an important nesting spot for birds. 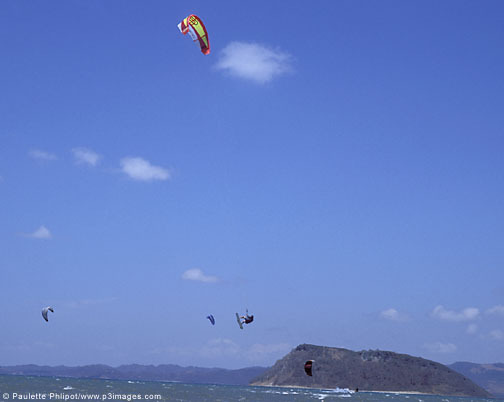 In front of the kite beach you can also enjoy half mile of reef with complete flat water. Here it’s common to kitesurf among giant turtles. 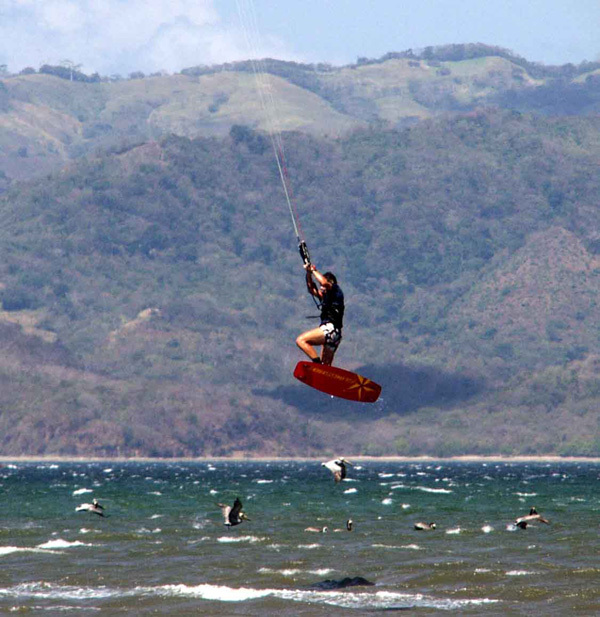 You have plenty of space around you to kitesurf surrounded by untouched nature! The beach is 1.5 km long without „shore break“ waves. There are no people or boats around you to worry about. The water is fairly flat, warm and shallow. The wind is side on shore. This bay is among the 10 windiest spots in the world and it is still wild and untouched by the tourism. 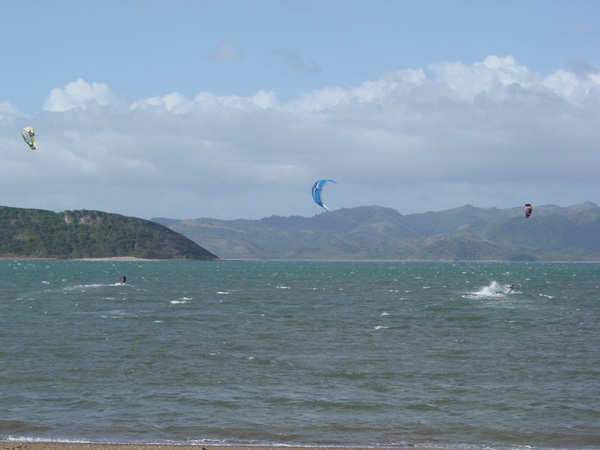 This means that you can kite surf in uncrowded beaches and disconnect for a while from the frenetic world. The only kitesurfing center & school of the country (Kitesurfing 2000) offers accommodations that are conveniently located 100 metres from this beach. About the wind conditions: trade winds bless this area. It’s very windy and dry especially from December to April and July. In November and May there are few days of rain but still great wind. June, August, September and October (especially these 2 last months) are less indicated to come to kite surf (more rain and less percent of kiteable days). Strong wind can be gusty. There are a few days per month where you need to wear a shorty but usually you don’t. Air temperature is constantly around 28°/32° Celsius (80°/90° Fahrenheit). Sun is strong. Take high protection water proof sun blocker. Conditions are variable: if you take a 8 mts., 10mts., 12 mts. 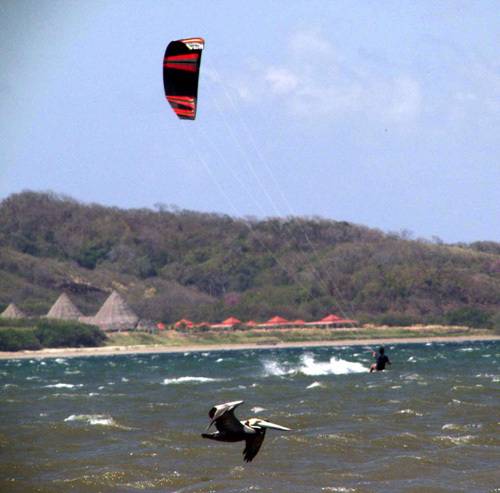 and 16 mts., you can kite surf every day! From January to March a small kite is definitely necessary, because the wind blows between 25 and 35 knots several days per month, you don’t need to take kites over 14 mts. 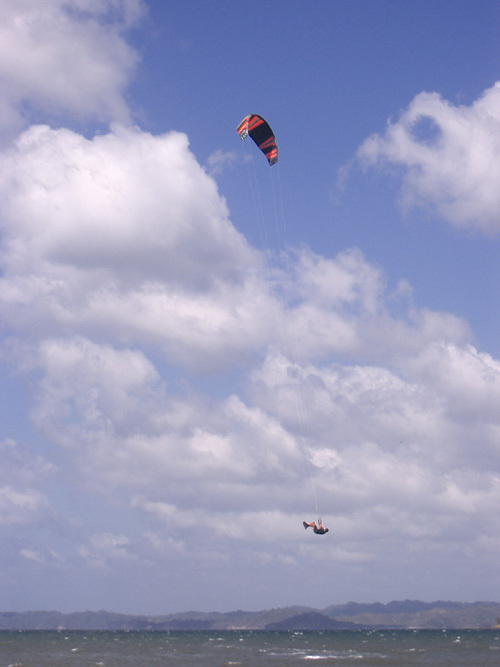 The rest of the months, the more used kites sizes are between 10 and 14…the best sizes!!! Behind the kite center there is a nice restaurant with music and kite surf videos all night long. Anyway, do not expect a lot of night life! By the way, at the kite center is available a kitchen with all you need to cook. Between Copal and La Cruz, there is a typical fisherman restaurant. There is a mini market 2.5 kms away, but the best is to buy food and beverages before you come down to the beach. Last town is La Cruz, 12 kms from Copal. There, you can find what you need: internet points, banks, post office, restaurants. It also has an hospital and red cross. At Liberia (1 hour driving) there is a bigger hospital and there are even private clinics. All the kiters and students that spend their holidays here, can be covered with an insurance for all the period they stay. At the kite center we organize tours to different beaches close by, rent a double sea kayaking, mountainbikes, 2 windsurfing gear, snorkelling gear, land boarding gear. 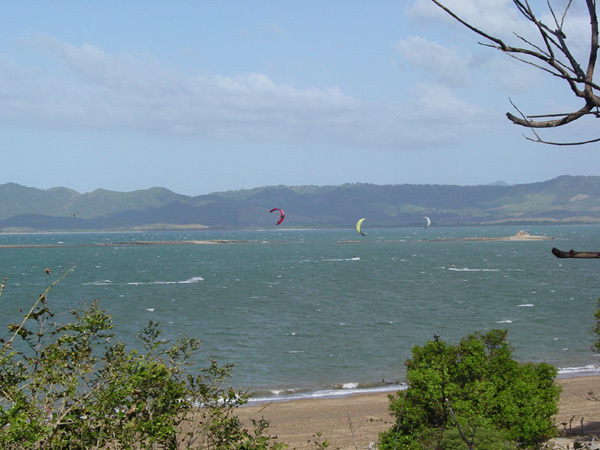 A few minutes away, you can horse back riding, rent last year windsurfing gears, diving. At one hour driving, there is Rincon de la Vieja volcano (hot springs, water fall, boiling mud pots) and Santa Rosa national park where is located the famous Witch’s rock surf spot.